Food Friday: Step out ! Home cooked food is always best. But once in a while, it's great to dress up, step out, and go out to dinner. We were so inspired this evening by our local Culinary Institute of Montana. We couldn't think of a better way to support the college and see the great things they are doing there. We are so fortunate to have this caliber of culinary school in the Flathead Valley. I must encourage you in the strongest possible terms to save up and splurge by coming to " The Chef's Table" given every Friday night during the term. But I caution you, they sell out quickly. 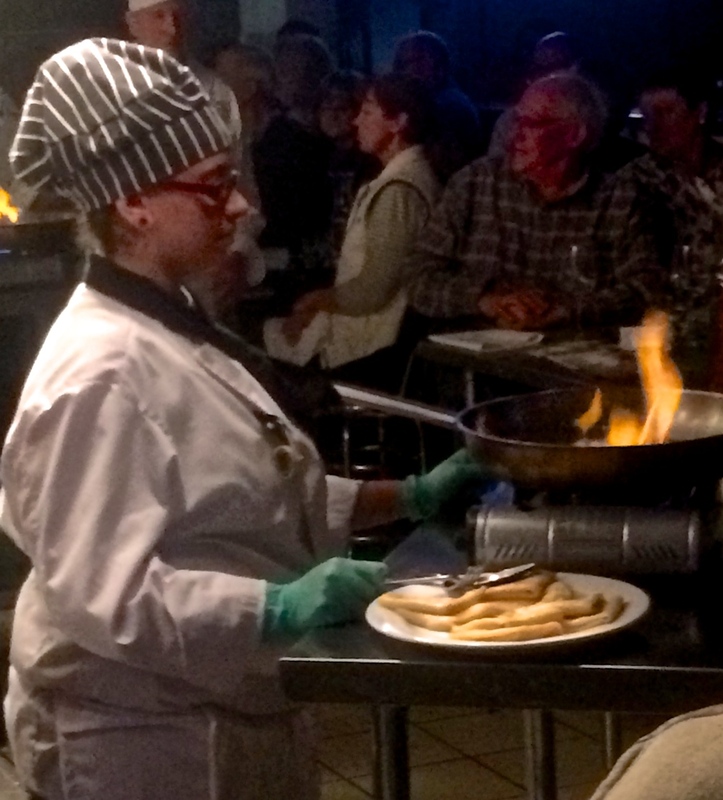 If you live outside of the Flathead Valley and in the type of town which might have a cooking school, it would be worth a phone call or two to see if their students serve to the public. And without further ado, I will share with you illuminated ice swans with palate cleansing sorbet, beautifully plated food, flaming crepes suzette, and gilded chocolate strawberries with cream puffs. Inspiration !